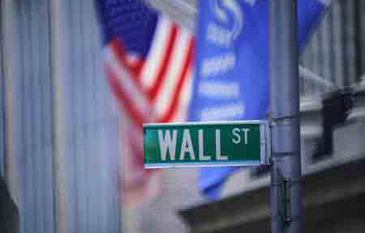 Local stock market likely to react sensitively to securities fraud in Wall Street,. More than ten South Korean financial firms may suffer investment losses from an alleged US$50 billion fraud led by a big-time U.S. financier, industry sources said on Dec. 13..
On Dec. 11, the U.S. Federal Bureau of Investigation arrested Bernard Madoff, former chairman of the Nasdaq Stock Market, on charges of securities fraud in what is called a Ponzi scheme, a pyramid-type swindle that promises early investors with high returns with money from newcomers. According to sources, more than ten local financial institutions including Korea Life Insurance Co. may face at least $100 million in losses after investing in hedge fund Fairfield Sentry Ltd. which entrusted Madoff's investment securities firm with billions of dollars. "We are checking which company has invested in this hedge fund," said an official at the Financial Supervisory Service, the country's financial watchdog. Bernard Madoff, a quiet force on Wall Street for decades, has been arrested and charged on Thursday with allegedly running a $50 billion "Ponzi scheme" in what may rank among the biggest fraud cases ever. "Our complaint alleges a stunning fraud — both in terms of scope and duration," said Scott Friestad, the SEC's deputy enforcer. "We are moving quickly and decisively to stop the scheme and protect the remaining assets for investors."